Traditional braces have come a long way over the years, becoming sleeker, smaller, and more comfortable. And that’s certainly something to smile about! Traditional braces consist of standard metal brackets that are adhered to your teeth with an adhesive and connected by wire. They require periodic tightening so pressure can gradually straighten your teeth and align your jaw as needed. While metal braces brackets are still the most common, other treatment options are available today. Read below to learn more about traditional braces and how you can customize them to fit your lifestyle. Traditional braces are more effective at treating extreme overcrowding than other options like clear braces or Invisalign aligners and are less expensive. They give your orthodontist the control he needs to move the teeth in small increments at a time. 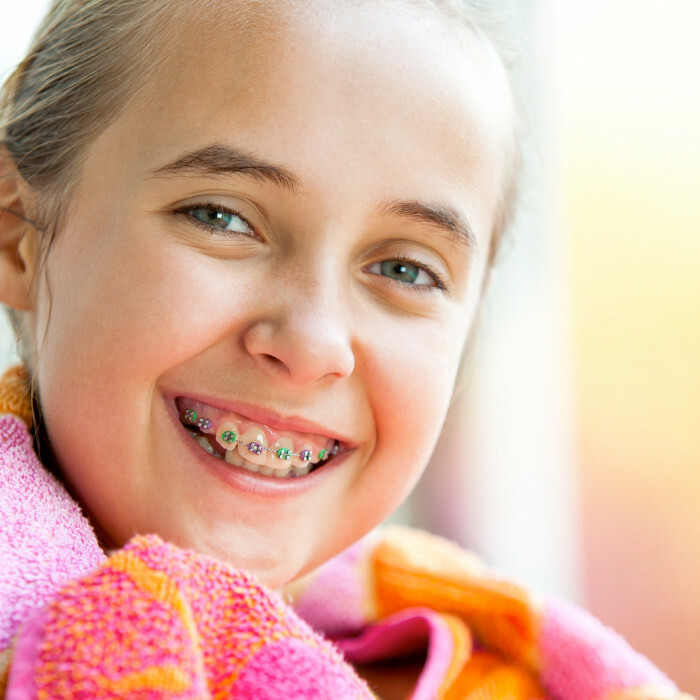 The main disadvantage of traditional braces is the metal mouth appearance. While less noticeable orthodontics like Invisalign may seem like a better choice for those who are conscious of their appearance, today’s braces are more visually appealing than in past years, with a range of color options for both the brackets and the elastics. Wearing these types of braces also means that you don’t have to worry about ever misplacing your aligners. Avoid foods that aren’t braces-friendly. Avoid chewy foods, like caramels or other soft candies, as well as very hard or crunchy foods that could damage your braces. Certain fruits and vegetables can get stuck in your braces, and should be cut into small pieces. Your practitioner will likely give you a list of foods to avoid to keep your braces in good shape and decrease your risk of cavities. You will be wearing your braces for a fairly lengthy period, so it is important to follow your orthodontist’s instructions and care for them properly. While braces may seem like an inconvenience, once the treatment is over, your new smile will be all the reward you need.